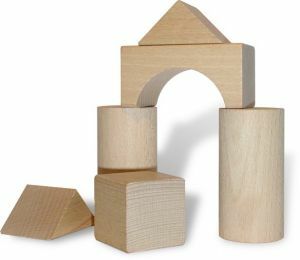 Property Distribution Category Archives — Jacksonville Divorce Lawyer Blog Published by Jacksonville, Florida Family Law & Divorce Attorney — Wood, Atter & Wolf, P.A. When spouses separate and the Florida divorce is final, one party usually takes full ownership of the marital home. For one party to have full legal title to the, now, former marital home, the other party must sign a quit claim deed transferring his or her interest in the property to the other party. Based in Jacksonville, Florida, the law firm of Wood, Atter & Wolf, P.A. is experienced in disputes and issues regarding the marital home and the failure to pay the mortgage payment. Certainly, any issue regarding the former marital home and the stability of the living environment should be addressed in a timely manner through legal representation when necessary. 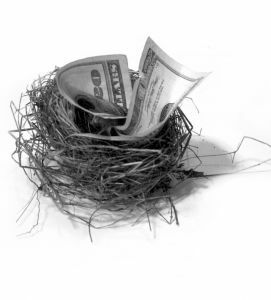 If the spouse living in the former marital home is not the only spouse listed on the note with the lender (bank), then that possessing party must either refinance the note in order to remove the other spouse or obtain a new loan solely in the possessing party’s name. Usually, the parties will agree that whoever remains in the Florida marital home will refinance the home but the court can also order a party to do so or, at least, attempt to do so. It is ultimately the decision of the lender to agree to refinance the note and mortgage and remove one of the parties from the original agreement. Often, the lender will not agree to refinance the home; therefore the spouse who was awarded the home must obtain a new loan to pay off the existing loan. In order for a party to obtain a new loan, the party must qualify for such a loan according to each lender’s terms and requirements. Usually when a couple purchases a Florida home, the amount of the note and mortgage is based on individual’s income. Being recently divorced and not having that second income may make it difficult to obtain a new loan for the same house because the debt to income ratio that lenders look at and rely on has now changed. Who watches the television show “Married at First Sight?” (I’m raising my hand if you can’t see me.) For all the fans out there, you know that Season 4 of “Married at First Sight” took place in Miami, Florida. Out of the three couples that married at first sight, one couple decided to get divorced at the end of the show. Well, that particular couple decided to get divorced after the honeymoon but the divorce did not take place until the experiment concluded. As the experts say from the beginning of the show, the marriages are real and so are the divorces. Even though the couples may only be married for eight weeks, they still must go through the same steps as the general public in order to have their divorces finalized. Most likely, for Season 4 couples a simplified dissolution of marriage, as the Florida courts call it, is all that is needed to divorce the couples. A simplified Florida divorce has a few requirements which each couple of “Married at First Sight” meets. I am sure the show screens their participants in accordance with these requirements. First, the couple must both agree to use the simplified divorce procedure. If one party decides that he or she does not consent to the simplified divorce procedure then the parties must follow the more traditional route for getting divorce. 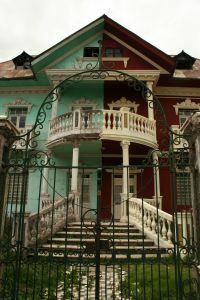 Housing issues are a problem in most Florida divorces right now because a number of homes are upside down or underwater and in Florida, properties, assets and debts are to be divided equally. The courts struggle with this situation because even if the home is underwater it must still be factored into the equal distribution process. In addition, courts are aware that many people are now walking away from their homes and surrendering them into the foreclosure world. However, as a Jacksonville divorce lawyer, I prepare my clients for the house payments and associated insurance and related expenses because it is a factor in determining the outcome of the divorce and what debts may client may assume. Many people, even today, are hesitant to walk away from a house due to the impact it will have on credit and future purchases while trying to rebuild after a divorce. Recently, a Florida appellate court evaluated this situation in Byrne v. Byrne, 3D10-2323 (Fla. 3rd DCA January 18, 2012). In the case, the parties had a condo that was $76,000 underwater. Originally, the Wife wanted to keep the home and make payments towards the property so as not to ruin her credit. She was initially awarded the home in the divorce, but was given no consideration by the court regarding the negative equity that she was taking ($76,000 would be owed upon sale). The trial court, in its initial decision, noted that there was a presumption that the Wife would actually turn the keys over the bank in foreclosure and would subsequently not lose the $76,000. An appeals court is where one takes his/her case if the outcome of the initial case is factually or legally incorrect based on the evidence that is presented at court. Often, a transcript of the original trial will be necessary to preserve the evidence for the appeals court because the court transcript provides a formally written account of all statements made in the courtroom. Typically, a transcript is typed by a court reporter and since all witnesses are sworn in, their statements in court are sworn to statements that can be typed up and presented to the appeals court for review of all evidence. In a Florida Divorce, Do I Get Credit or a Set-Off for Payments on My Home? In a Florida divorce, the process can be grueling and determining how to divide property can be both emotionally and mentally challenging. Understanding the divorce process in Jacksonville and throughout Florida can be helpful so that you can focus on the issues at hand and deal with those aspects of your finances and property that are going to be most impacted by the divorce. A common issue, especially in today’s real estate market, is deciding what to do with the marital house. 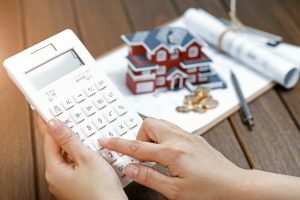 The marital home is subject to equal distribution, per Florida divorce law and as such, the property’s equity and debt have to be determined along with the division. In many divorces there is a question that arises regarding credits or set-offs of the marital home. Often, one party may believe she/he is entitled to such credits or set-offs for multiple reasons. The way to receive said credits is determined in either an agreement by the parties or by the court, if evidence supporting such a request is provided. Myth or Fact: Moving Out During a Divorce Means You Abandoned Your Home in Florida? As a Jacksonville, Florida family law and divorce lawyer I get many questions regarding the martial house or home. The common question is whether moving out means abandoning the home and any rights to it. There seems to be a common myth in divorce situations regarding marital property and what you can and cannot do with it when going through a divorce and when you have actually given up your rights to the property or real estate in this case. 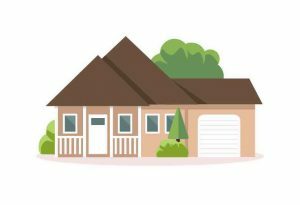 So, fact or fiction, if you separate and move out of the marital home before the divorce, then you have abandoned the home and given up all rights to the home? If I move out of the home then I have abandoned the home and any interest I may have in it? False. 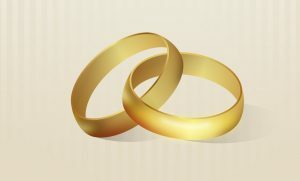 A home purchased during the marriage is considered property to divided in a Florida divorce. 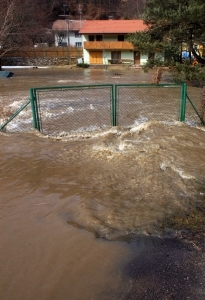 The home may be “under water” or it may have equity, but whatever it’s financial state, the property has to be divided. Simply leaving the home does not exempt any liability you may have, especially if your name is on the mortgage. 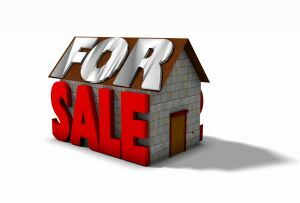 Moving out also does not have any bearing on you getting a portion of the equity of the home if it were to be sold. If the home is not going to be sold, but kept by the other party, moving out does not impact your ability to be bought out from your portion of the equity. 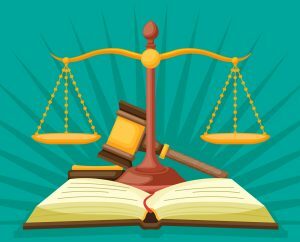 In a Florida Divorce Will My Business Be Given to My Spouse? In a Florida divorce, regardless of fault, the marital property, debts and assets are to be divided equally. Florida divorce requires that marital items be equitably distributed through the court if the parties cannot otherwise agree on the division of assets, debts, and the like, with few exceptions. The one thing that often can be left out when couples try to divorce on their own is the division of a business. Yes, in Florida, if you start and own a business during the marriage, then that is a marital asset (sometimes a liability) that should be divided by the parties. However, it also means that there is another party to your divorce, the actual business itself, because the business has an overall interest in the outcome of the case.